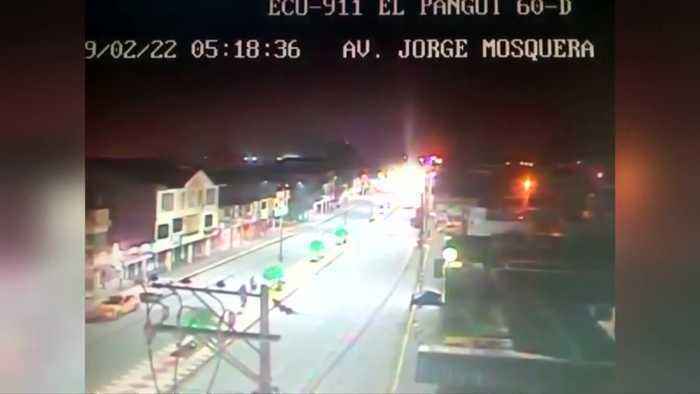 A powerful earthquake with a magnitude of 7.5 struck the Peru-Ecuador border region early on Friday morning, the United States Geological Survey said. 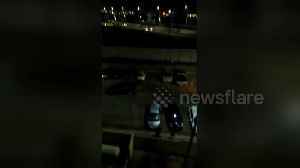 ROUGH CUT (NO REPORTER NARRATION) A deep earthquake with a magnitude of 7.5 struck the Peru-Ecuador border region early on Friday morning, the United States Geological Survey said. The quake's epicentre was in a sparsely populated area 224 km (140 miles) east-southeast of Ambato, Ecuador, at a depth of 132 km. The USGS's initial reading had assessed the quake, which occurred at 5:17 a.m.
(1017 GMT), at magnitude 7.7. There was no risk of a tsunami being triggered, the Pacific Tsunami Warning Center said, and there were no initial reports of casualties or damage. One resident in Cuenca, Ecuador, 253 km from the epicentre, described the temblor as very strong, while a second resident in the same city reported experiencing "a good 30 second shake", according to witness statements on the European-Mediterranean Seismological Centre website.